Mueller predicts VW group deliveries will exceed 10.3 million vehicles. 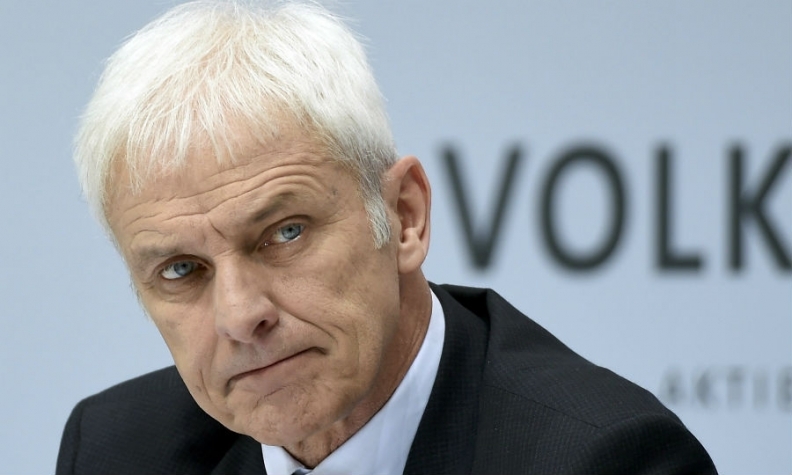 BERLIN - Volkswagen Group will report excellent group results this year, CEO Matthias Mueller said, helped by expected record vehicle sales and by spending cuts. VW's vehicle sales appears to have weathered the storm following the emissions scandal of September 2015, which has cost the company billions of euros in fines and penalties. "It will certainly be quite outstanding in operational terms," Mueller told Germany weekly paper Welt am Sonntag when asked to sum up the 2017 business year. VW is due to publish detailed 2017 results on March 13. Last month, the CEO predicted that group deliveries would exceed the 2016 record of 10.3 million vehicles. Cost cuts at the core passenger-cars division have caused the world's largest automaker to raise its profit target for the year, and it has since also upgraded its mid-term profit and sales guidance. On the other hand, Mueller said proposals by the European Commission for progressive cuts in carmakers' average carbon dioxide (CO2) emissions by 2025 and 2030 will "cause us real pain." VW more than two years ago admitted to cheating in diesel emissions tests in the United States. It has set aside about 25 billion euros ($30 billion) to cover related fines and vehicle repairs and faces thousands of lawsuits worldwide. Mueller also criticized the prolonged political deadlock in Germany, which has no new government as Chancellor Angela Merkel continues to search for a coalition partner three months after federal elections. "This is taking too long," he said in the interview published on Sunday. "We must become capable of acting again, for this purpose sometimes also unpopular decisions are necessary."